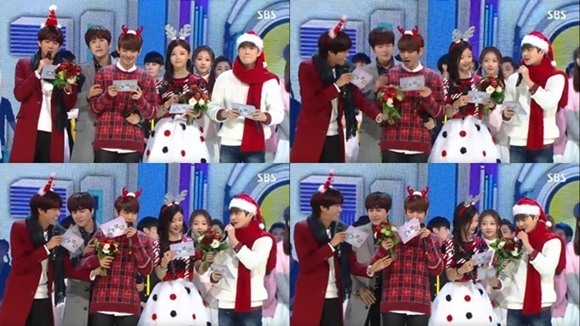 K-pop idol group EXO members Suho and Baekhyun stepped down from the SBS live music show “Inkigayo” on Sunday. The two quit their emcee job, 10 months after they joined the Sunday music program in February. “We had a really great time (being emcees). Thank you. I will become a polite person who always does my best,” said Suho. 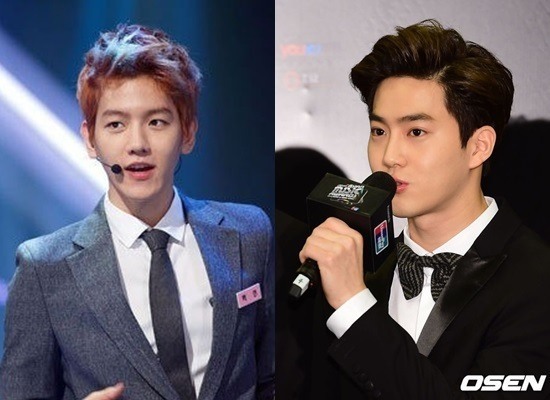 The heartthrobs plan to focus on preparing for EXO’s upcoming album to be unveiled early next year. South Korean teenage actress Kim Yoo-jung will take over the role as a show host from next week. The latest episode of the Sunday music show starred a host of K-pop artists, including GD X TAEYANG, INFINITE F, Masta Wu, AOA, Nicole and Hello Venus.